Yang Wei, originally an artist himself. Through his many years of work, he believes that the interpretation of contemporary art is as important as the creation of the artwork itself. 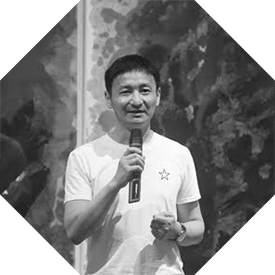 He was born in Hunan in 1969, originally as a painter, he had witnessed a collective art migration from Yuanmingyuan artist village in Songzhuang. 1996 is the last year of the Yuanmingyuan artist village, Yang Wei organized the iconic exhibition to reflect Chinese general public living state “Gaudy Art” exhibition. After the exhibition, in order to answer all questions kept writing articles explain what is “Gaudy Art.” In this process, Yang Wei found that the interpretation of contemporary art is more important than the creation itself, since he transferred to curatorial industry. At that time, he clearly recognized the Chinese contemporary art in the 1990s mostly cater to Western tendencies. In the nearly 20 years later, Yang Wei has been in cleaning up these issues and continued to always pursue cultural values.